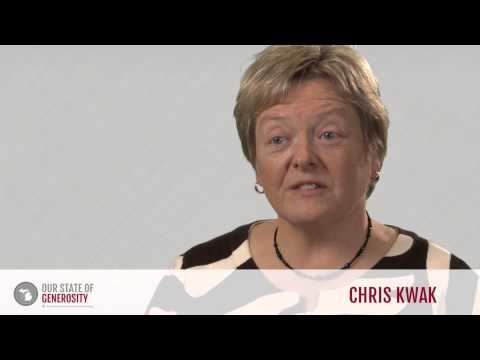 Ms. Christine (Chris) Kwak began actively engaging in Michigan’s philanthropic community as a social worker while working at the National Youth Leadership Council. In this role, she facilitated the conversations of Youth Advisory Council members attending the Council of Michigan Foundation’s highly experiential summer camps. She next moved on to the W.K. Kellogg Foundation as a program officer, where she led national efforts to deeply integrate service-learning into the culture of K-12 schools, and made grants to support philanthropy and volunteerism. 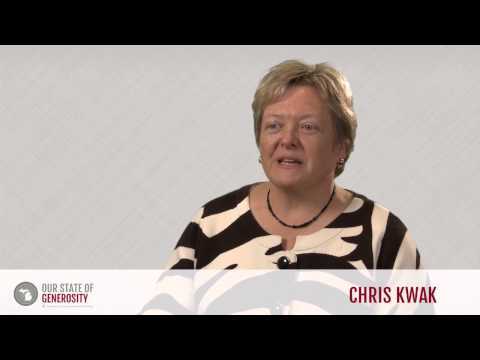 Ms. Kwak has a deep understanding of the history and culture of Michigan’s philanthropic community, and brings a national perspective on the field of philanthropy to her insights. 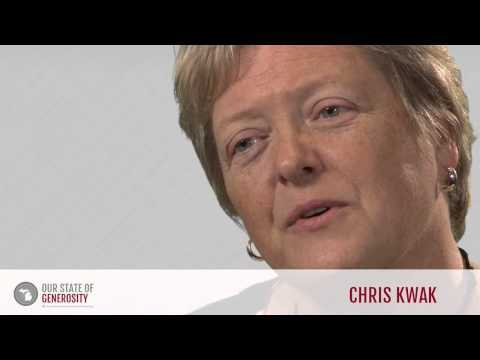 Ms. Chris Kwak talks about her career in philanthropy. Ms. Chris Kwak talks about the effectiveness of committing to the cause and tackling solutions together in philanthropic work. 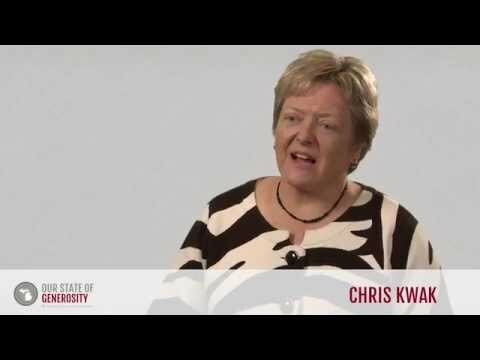 Ms. Chris Kwak talks about the importance of patience, simplicity, and sustainability in philanthropic leadership. Ms. Chris Kwak talks about how MCFYP put into practice the social redefinition of youth as assets and resources, rather than deficits and recipients. Ms. Chris Kwak talks about the goals and successes of the Michigan Community Foundations' Youth Project (MCFYP) summer retreats. 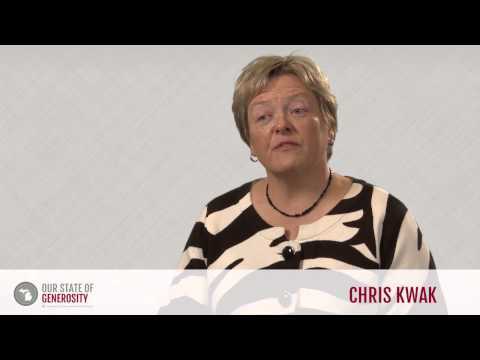 Ms. Chris Kwak talks about the importance of building networks and sharing knowledge in philanthropic leadership. Ms. Chris Kwak talks about the values upon which the Michigan Community Foundations' Youth Project (MCFYP) was founded. 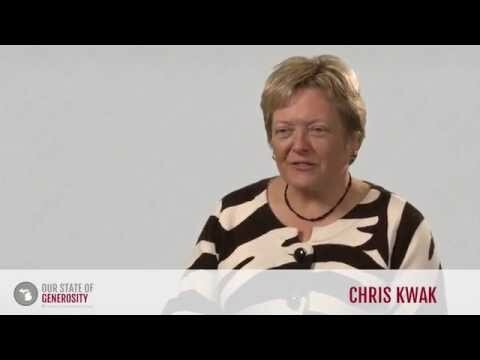 Ms. Chris Kwak about how the Michigan Community Foundations' Youth Project (MCFYP) became a national and international leader in youth philanthropy. Ms. Chris Kwak talks about how it takes between 5 to 10 years to truly see the effects of philanthropic initiatives. Ms. Chris Kwak talks about the mission and development of Learning In Deed. 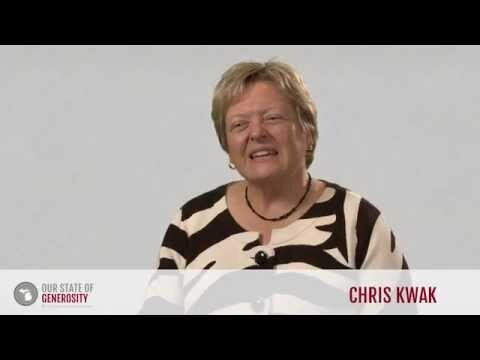 Ms. Chris Kwak earned a Bachelor’s degree in environmental studies from the University of Illinois, and a Master’s degree in social work from the University of Minnesota. Born near the small town of Momence, Illinois, Ms. Kwak grew up on a farm with five brothers and sisters. Every summer, her family would go on long camping trips, often staying at national parks across the country. By the time she was 12 years old, Ms. Kwak’s family had visited 42 U.S. states. Ms. Kwak witnessed the grandeur of these national parks, where she was exposed to all kinds of educational activities. These rich childhood experiences helped Ms. Kwak develop a broad view of our nation and its people. This perspective ignited a fiery passion for experiential education. She recognized how important it is to do what you love, to pay attention to what you’re doing, and to keep a watchful eye on the broader field in which you’re involved. 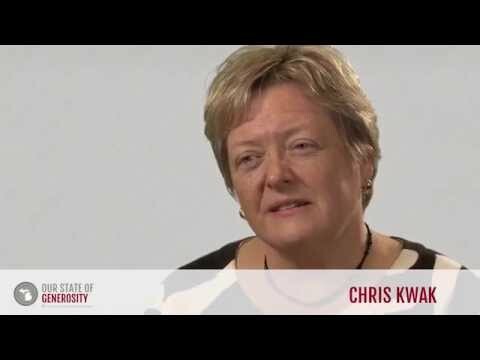 Growing up in a rural hometown, Ms. Kwak’s experiences shaped her strong principles about helping others. If someone needed help — everyone helped. This ethic of serving others, combined with a social justice lens, was fostered by a group of “radical” nuns in high school. Through their gentle guidance, Ms. Kwak was prompted to ask these questions: Who are the haves and who are the have-nots? What are the responsibilities of the haves to the have-nots? After graduating from the University of Illinois, Ms. Kwak directed youth camps in northern Illinois, which reinforced to her the importance of community in growth and learning. Her experiences in youth camps inspired Ms. Kwak to pursue a career helping people learn to solve problems that kept them from fulfilling their potential, which led her to attend the University of Minnesota for a Master’s in social work. Her position at the Twin Cities Youth Policy Forum, and internships in the field of social work, helped her to understand the potential that young people have in shaping their communities, as well as the way they benefit from the experience. Seeking to implement larger, more systematic changes to reflect these experiences, Ms. Kwak accepted a position as director of national programs at the National Youth Leadership Council (NYLC) in 1990. Among her duties, Ms. Kwak was involved in staffing what she describes as an “experiential scenario” for youth – learning to lead and make decisions, not by theory or lectures, but by doing — as part of the leadership camp curriculum. This action scenario was the summer experience that engaged the first generation of Michigan Youth Advisory Council members as a part of their orientation to philanthropic work. Ms. Kwak, hired to program and implement the summer experience as a member of NYLC, provided the counseling support required for this highly interactive action lab. Ms. Kwak was then hired by the W.K. Kellogg Foundation (WKKF) in 1993 by Program Director Joel J. Orosz to help build the emerging Philanthropy and Volunteerism programming division. She later worked in the Battle Creek programming area and served on the Michigan programming team. Ms. Kwak retired in July 2012 from her position as program officer at WKKF. She continues to offer independent consultation services. Ms. Kwak became involved with the Michigan Community Foundations’ Youth Project (MCFYP, started in 1988) while working at NYLC. During the late 80s through early 90s, MCFYP was new on the horizon. It was an innovative project intended to engage young people in communities throughout Michigan, teaching them leadership skills, fundraising, grantmaking, and about the far-reaching benefits of philanthropy. MCFYP was born out of the Council of Michigan Foundations’ commitment to ensure every citizen in Michigan had access to a community foundation. Supported by a series of grants from the W.K. Kellogg Foundation that ultimately totaled $64 million, as well as support from other funders including the Charles Stewart Mott Foundation, the challenge presented an innovative concept; the belief that young people should have a say in grantmaking, and further, that they had a rightful place at the table as members of youth advisory councils (YACs) at their community foundations. “MCFYP wasn’t just talking about putting young people in the driver’s seat, but it was actually giving them the power and the decision-making that comes with the distribution of resources,” Ms. Kwak said. “To me, it was a premier, early out-of-the-gate, stellar program that really showed the power of what young people could do.” The decision to entrust young people with grantmaking decisions, giving out millions of dollars for worthy projects, made history at home in Michigan, throughout the United States, and across the globe. The grantmaking is ongoing and will continue in perpetuity, as the YACs were permanently endowed. 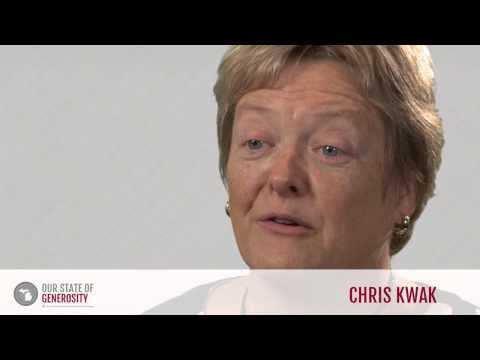 It is a legacy that, according to Ms. Kwak, laid the groundwork for all generations to come. During her tenure at WKKF, Ms. Kwak led the Learning In Deed Initiative, which was established in 1997 to spark a collaborative, national effort to infuse service-learning as part of the core educational curriculum for kindergarten through 12th grade. She also co-founded the Grantmakers Forum for Community and National Service (now called Philanthropy for Active Civic Engagement) and led WKKF’s work with the Corporation for National and Community Service, the Points of Light Foundation, Women and Philanthropy, the re-introduction of a national leadership fellowship program for the foundation, and many other initiatives and service organizations. 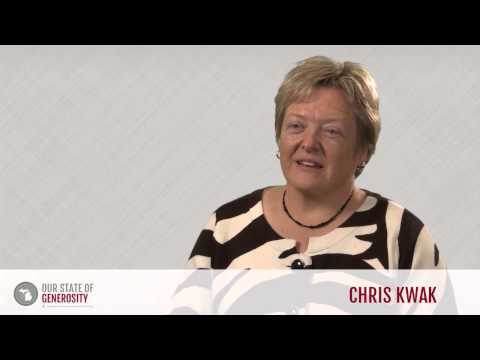 In addition, Ms. Kwak is celebrated as a strong supporter and promoter of women’s philanthropy. She has contributed to this field in many ways, including her leadership and participation in the work of the Michigan Women’s Foundation (through various grants and staff development opportunities) and the Women’s Funding Network, a national organization that was largely responsible for more than doubling the number of women’s funds in the U.S. and globally, from approximately 60 to over 160 in a 20-year period from 1993 to 2013. Ms. Kwak worked closely with efforts in Michigan to prepare for the passage of national legislation supporting volunteerism. She served as a state commissioner of the Michigan Community Service Commission, which has invested more than $100 million in community volunteer initiatives and engaged more than one million people in volunteer service. 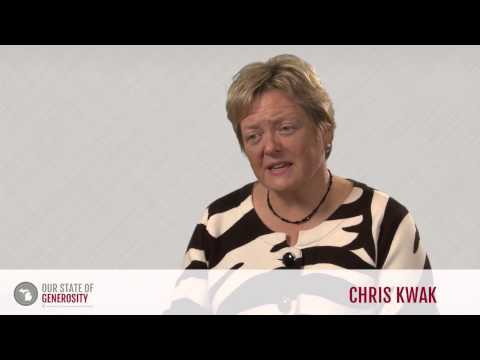 Ms. Kwak was interviewed regarding her insights and experiences in working with Michigan’s philanthropic community and the Our State of Generosity (OSoG) partners. The following are selected quotations from her interview specifically related to the five organizing themes of the OSoG project.